Hidden behind Lincoln’s head on Mount Rushmore in South Dakota there is a sealed chamber containing a vault with sixteen historical porcelain enamel panels. In Washington, DC numerous secret tunnels, hidden vaults and concealed chambers exist underneath its streets and monuments. Being the capital of the United States of America, these secret areas undoubtedly need to exist for the protection of important national assets and/or sensitive material. But what about Canada’s capital, Ottawa? Do we have the same hidden chambers underneath our feet, passed over each day without us even knowing it? 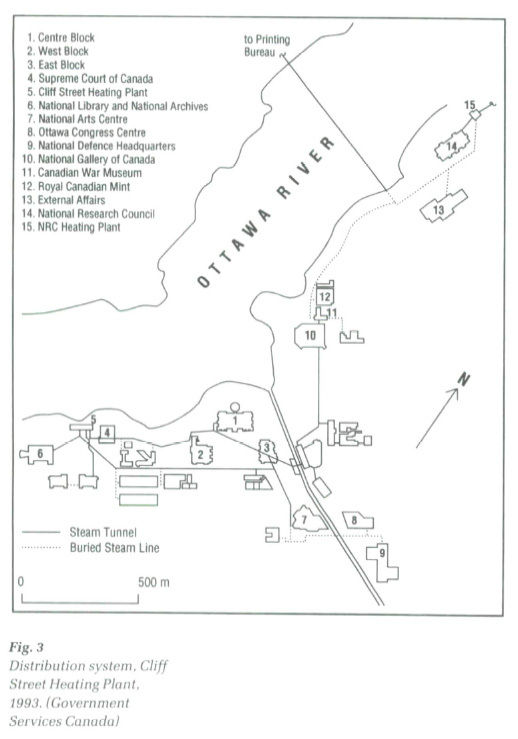 After an in-depth study of historical maps and other reference material, Ottawa may indeed have its own underground secret vault dating to 1876. In 2014 a worker that was part of a government contract to address concrete issues at the National War Memorial downtown was quoted in the Ottawa Citizen saying there was a big “cavity” under the memorial that would be filled by 24 concrete trucks worth of cement. “It’s all hollow down there and the job is to secure the base,” said the worker, who did not want to be identified. The National War Memorial was designed by Vernon March and dedicated by King George VI in 1939. Originally built to commemorate the Canadians who died in the First World War it was later rededicated to also include those killed in the Second World War and the Korean War, then again in 2014 for the War in Afghanistan, as well as Canadians killed in all conflicts, past and future. It remains one of this country’s sombre reminders of those who gave their lives in service of our country. The area of the War Memorial is now called Confederation Square, which in fact, is not a square at all, but a triangular shaped area, formerly known up until 1939 as Connaught Place after Governor General Connaught. Within Connaught Place stood Ottawa’s original central post office from 1876 to 1938 when it was demolished to make room for the War Memorial. The old post office was a remarkable building, having to also contain a Custom House and the Office Of Inland Revenue. The Ottawa Central Post Office circa 1876. Incorporating both the Customs House and Office Of Inland Revenue, this building would likely have some interesting features for securing assets and valuables arriving by boat on the Rideau Canal, or just to store important records of the time. The building suffered a massive fire in 1904, and was subsequently re-built with the addition of an extra level, which may confuse people as to why the building changes in how many stories it had when looking at different photographs of the Post Office. This photo of the old post office circa 1930s shows the extra floor added onto it after it was re-built after the fire of 1904. The vaults would be underneath where all those cars are parked. Likely built in 1876 along with the rest of the Post Office/Custom House, the vault outlined on the plans measures approximately 100 feet by 50 ft and is described as having “brick arched ceilings, stone and terra cotta walls, with concrete floors. I am not an expert in architectural design, but I am assuming that the vaults were similar to other Custom Houses of the time, used to store contraband seized by the Customs from the canal boats or for valuables of the Post Office, and government assets requiring secure storage. Fireproof, strongly designed, these vaults of the late 1800s were virtually impenetrable. This Post Office vault was accessed from inside the building, but also from the outside as shown in the photographs from the 1880s that show steel barred openings in the stone wall beside the canal. This would allow for easy access to the boats on the canal that would be stopping for processing at the Custom House. Later, when the railroad replaced the canal as a means of transporting goods, the canal access was covered by what looks to be a street, and it is unclear whether the vault was sealed at this time. Photos after 1900 show the vaults covered over by a street, but it is doubtful that a reinforced, fire-proof vault of that size would be removed due to cost, but rather more simply sealed and forgotten. Vault area beneath the street in front of the Post Office circled in red. The Central Post Office/Custom House remained in operation until 1938 when it was decided by the ruling government that Connaught Place was to be the location of Canada’s National War Memorial. The old building that stood firmly for 62 years was then demolished, its remarkably strong construction posing a hinderance to demolition crews assigned to tear down the heavily reinforced structure. Demolition of the Post Office building in 1938, showing no evidence of the vaults being exposed in this photo. In the photos I could find of the demolition of the Post Office there is no sign of the vault being unearthed or demolished, which leads me to believe the secure vault remains on site. I would appreciate any further information that could confirm or deny its existence. Construction of the War Memorial in 1938-39 with no indication of the vault area being disturbed. After the War Memorial was built in 1938-39, the area was re-named Confederation Square and the streets and bridges are-aligned and renovated over the years. In order to locate exactly where this vault would be today, I used the old blueprint drawings of the post office and overlaid them on current Google satellite images of the same area. Concealed vault area highlighted in red. Outlining the vault area in red, then removing the old map, it reveals where the vault may exist today. Sure enough, an undeveloped corner of Confederation Square is just the right size to contain a hidden chamber of that size. Google Streetview reveals a door (open!) near the vault area. The next step was to visit the area to see if any clues remain that would either prove or disprove the notion that the original 1876 vaults still exists, sealed and concealed underground. It didn’t take long to notice that there are indeed nondescript metal doors leading to areas unknown in the vicinity of the concealed chamber. Google Streetview even shows these odd doors open. I have no idea where they go, but they are intriguing being so close to the original vault site. Is this old vault still being used by the government today? Is it used to store assets or simply used as a mechanical room for the lighting system of the memorial? Without the proper credentials to access what’s behind those metal doors or access to Ground Penetrating Radar to see what lies beneath, we may never know. But for now, I would like to think that there is a massive, sealed vault chamber housing our lost Avro Arrow under our feet. I too wondered about those doors under the bridge. Very interesting story. You will have to publish a book one day with all those stories and hopefully Officialdom will endorse it. Super interesting and intriguing. SOMEBODY must know what’s behind those doors! After the War Memorial sentry was shot a few years ago, I remember hearing that the sentries have shifts and they have a room underneath the Memorial to rest between shifts. Perhaps the doors are the entrance to the break room. Yes, I actually saw the “soldiers” in and out of there. Changing the guard as it were. You may want to hang around that door when the November 11 activities are going on. I have a vague memory from ~30 years ago that the ‘controversial’ sculptured monument of Arthur Meighan was stored in that location. A lost Arrow? That would be so cool, I wish. There’s also a tunnel between the Chateau Laurier and the old train station building, I once walked through it. Theory. The vaults were destroyed, not when the War Memorial was built, but when the area was refreshed about 10(?) years ago, and the sappers stairs were built. ISTR bricked over archways back before the underpass next to the canal was renovated, and it is *much* wider underneath there than it used to be back in the 80s and 90s. I pass by that door regularly during the summer and I’ve seen members of the Canadian Army coming out of that door when they perform ceremonies at the War Memorial several times every day. I think they store their arms and band instruments in there. I never saw how much space they have behind the doors but I could probably ask them when July comes around. I’ve been through those double doors underneath the bridge. There’s around 16 steps upstairs to a modern switch room on the right with a large switch gear. All nice poured concrete, no terra cotta block walls or vaulted brick ceilings. No creepy vibe, which I can’t say about a lot of other buildings and confined work spaces in Ottawa. The 1876 vault could be under the switch room. I did some temporary work for Public Works in the 90s was inside the vault. It was used for storage of metal barricades at that time. That’s likely the office for the guards that keep watch over the war memorial. Hi Andrew, there is a vault under there. It is used by the Governor General Foot Guards as a rest area in the summer, and storage for Public Works barricades and other road maintenance material. It is accessible by the door you indicated in your photo. Thank you for this hugely interesting historical yarn, well illustrated and what a finish! I enjoyed this recent post you did. I am confused by one thing. In the pre-1900 photos of the post office there appears to be the extended lowest level with the vault doors, two stories and then an “attic” level with the clock. In the “Vault covered by the street” photos, the lower extended level is presumably part of the street, there are now three stories to the post office plus the attic. Am I missing something here? Was there an additional story added? I’m just having trouble figuring it out. Please keep up the good work – I look forward to your posts. Hi Neal! Thanks for reading, you have a keen eye! Yes! An extra floor was added after the building suffered a major fire in 1904. The extra level was added to it during the re-build. Fascinating ! Have you guys got any info on the set of doors further down the canal toward the locks (under the stairs of the Wellington street bridge)? I’m convinced this is part of the underground parliament tunnels and possibly an escape route or part of the steam tunnels? Hi Sacha, Thanks for reading! I do believe those doors down by the canal lead into the East Block of Parliament, there is a hi-tech keypad there. Always a cool read. Your posts really make me take a second look at this, my hometown. Thanks! Hi Joel, appreciate the feedback and thanks for reading! Cheers! I always look forward to your posts Andrew, and this one is especially intriguing. They make me take a different look at this, my hometown. Thanks! Glad to have you along on these hidden history adventures my friend! Interesting. Always saw the doors but never really thought much about it. Nice to know these sorts of things exist in the city. As for the Arrow – An acquaintance from out west believes he knows where the Arrow is and that it is currently in pieces and in boxes and stored in (wait for this because this is so on point with your research on the vaults) a nondescript Canada Post owned facility close to Downsview in Toronto. He has taken years of research to get to this point and right now is going about the steps and paperwork to get access to the building. He was working with an MP but after the last election, things got a little tougher for him. I don’t completely recall, but I believe he was able to get into the building to see it/or was going to be back in the fall. He is also writing up a book on the side to chronicle his work as well. Hoping he makes a breakthrough and can get in and get pictures this year. Neat…please keep us posted if there are any developments! Brilliant! OLD MAPS are a key “step 2” to life. Thank you for this story, Andrew.